ICELAND - CIRCA 2018 - Beautiful aerial of the mid Atlantic ridge running through Thingvellir, Iceland. 4k00:25Aerial view of tourists English Slave cliff on North Atlantic sea, Faroe island. 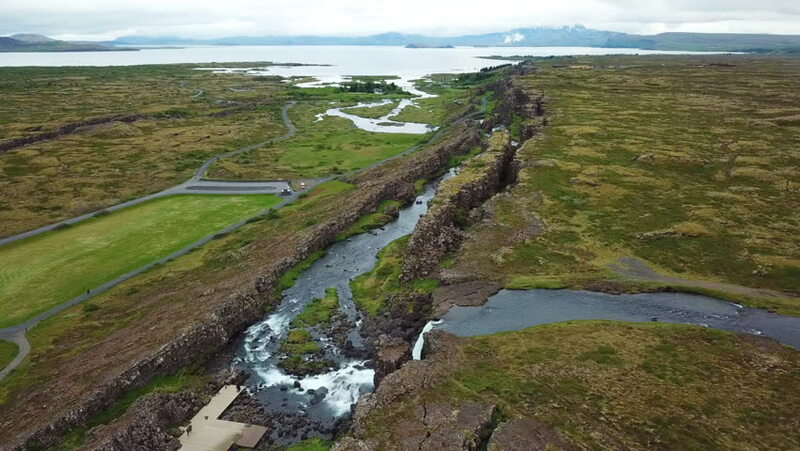 4k00:19ICELAND - CIRCA 2018 - Beautiful aerial of the mid Atlantic ridge running through Thingvellir, Iceland.